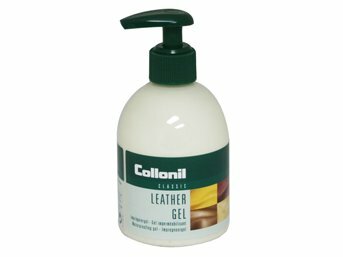 Collonil Leather Gel is a waterproofing gel for smooth leather and suede shoes. It provides your footwear with a protective film that repels dirt and moisture. Collonil Leather Gel has a unique solvent-free formula that waterproofs and conditions leather and suede, and brightens colors.